Nuno Borges Carvalho (S’97–M’00–SM’05-F’15) was born in Luanda, Angola, in 1972. He received the Diploma and Doctoral degrees in electronics and telecommunications engineering from the University of Aveiro, Aveiro, Portugal, in 1995 and 2000, respectively. He is currently a Full Professor and a Senior Research Scientist with the Institute of Telecommunications, University of Aveiro and an IEEE Fellow. He coauthored Intermodulation in Microwave and Wireless Circuits (Artech House, 2003), Microwave and Wireless Measurement Techniques (Cambridge University Press, 2013) and White Space Communication Technologies (Cambridge University Press, 2014). 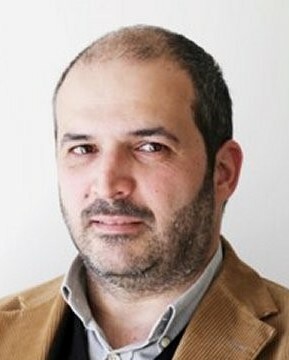 He has been a reviewer and author of over 200 papers in magazines and conferences. 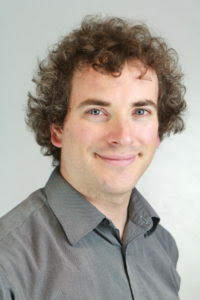 He is the Editor in Chief of the Cambridge Wireless Power Transfer Journal, an associate editor of the IEEE Microwave Magazine and former associate editor of the IEEE Transactions on Microwave Theory and Techniques and IET Microwaves Antennas and Propagation Journal. He is the co-inventor of six patents. His main research interests include software-defined radio front-ends, wireless power transmission, nonlinear distortion analysis in microwave/wireless circuits and systems, and measurement of nonlinear phenomena. He has recently been involved in the design of dedicated radios and systems for newly emerging wireless technologies. Dr. Borges Carvalho is a member of the IEEE MTT ADCOM, the chair of the IEEE MTT-20 Technical Committee and the past-chair of the IEEE Portuguese Section and MTT-11 and also belong to the technical committees, MTT-24 and MTT-26. He is also the vice-chair of the URSI Commission A (Metrology Group). He was the recipient of the 1995 University of Aveiro and the Portuguese Engineering Association Prize for the best 1995 student at the University of Aveiro, the 1998 Student Paper Competition (Third Place) of the IEEE Microwave Theory and Techniques Society (IEEE MTT-S) International Microwave Symposium (IMS), and the 2000 IEE Measurement Prize. He is a Distinguished Microwave Lecturer for the IEEE Microwave Theory and Techniques Society. The Internet-of-Things (IoT) vision calls for thousands interconnected devices in wearables, vehicles, buildings, using a multitude of sensors to provide us with useful information. Backscatter communication provides an enabling technology to address the needs of IoT, due to the simplicity of the tag circuit and the ability to minimize the usage of batteries or even completely eliminate them taking advantage of wireless power transmission as well as energy harvesting. This talk presents the latest advances in backscatter communication technology, covering a wide range of topics, focusing on the combination of modulation constellation diagrams with the smith chart. Ad Reniers received the Bachelor’s degree in electrical engineering from Fontys University of applied sciences and is currently pursuing his Ph.D. degree at Eindhoven University of Technology (TU/e). From 1999 to 2009, he worked with TNO Industry and Technique in Eindhoven, The Netherlands on research projects, affiliated to antenna-based sensors, antenna miniaturization, RFID applications, and energy harvesting. Since 2009, he has been associated with the Electromagnetics Group, Department of Electrical Engineering, Eindhoven University of Technology, Eindhoven, The Netherlands as a research and education officer. He has extensive research and engineering experience in the field of antenna design and antenna measurement. His research interests include millimeter wave antenna measurement, antenna miniaturization for integrated mm-wave communication and wireless power transfer. In this presentation we will give hands on instructions and tips to construct a 2.45GHz rectenna. We will start with designing a 50 Ohm rectangular microstrip patch antenna and realize this antenna on FR4 using copper tape, a ruler and a knife. After tuning the antenna to 50 Ohm, we will design a rectifying circuit using discrete Schottky diodes. For analyzing and designing the circuit we will make use of freeware circuit software. We will determine the input impedance and design a impedance matching circuit to connect the antenna to the rectifying circuit. Finally we will load the rectenna with a led and demonstrate the rectenna, using the signals leaked through the door of a microwave oven. 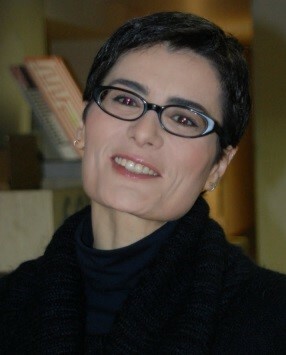 Prof Alessandra Costanzo is a full professor at the University of Bologna, Italy since 2018. She is currently involved in research activities dedicated to design of entire wireless power transmission systems, based on the combination of EM and nonlinear numerical techniques, adopting both far-field and near-field solutions, for several power levels and operating frequencies. She has authored more than 200 scientific publications on peer reviewed international journals and conferences and several chapter books. She owns four international patents. She is co-founder the EU COST action IC1301 WiPE “Wireless power transfer for sustainable electronics”, just ended where she chaired WG1: “far-field wireless power transfer”. She was workshop chair of the EuMW2014. In 2018 she is ExCom chair of the WPTC2018 and TPC co-chair of the IEEE IMARC 2018. She is the past-chair (2016-2017) of the MTT-26 committee on wireless energy transfer and conversion and member of the MTT-24 committee on RFID. She serves as associate editor of the IEEE Transaction on MTT, of the Cambridge International Journal of Microwave and Wireless Technologies and of the Cambridge International Journal of WPT. Since 2016 she is steering committee chair of the new IEEE Journal of RFID. She is MTT-S representative and Distinguished Lecturer of the CRFID, where she also serves as MTT-S representative. She is IEEE senior member. In this lecture the analytical characterization of an inductive resonant link is presented and the system figures of merit are parametrically represented as a function of a set of circuital parameters. The lecture demonstrates the need for a system-as-whole design at the circuit level, with the actual RF link terminations, consisting of the nonlinear power source and the RF-dc converter. Design solutions for industrial applications, such as the wireless powering of rotating or sliding tools are studied and the achievable performance in dynamic conditions are discussed. Bruno Clerckx received the M.S. and Ph.D. degrees in applied science from the Université Catholique de Louvain, Louvain-la-Neuve, Belgium, in 2000 and 2005, respectively. 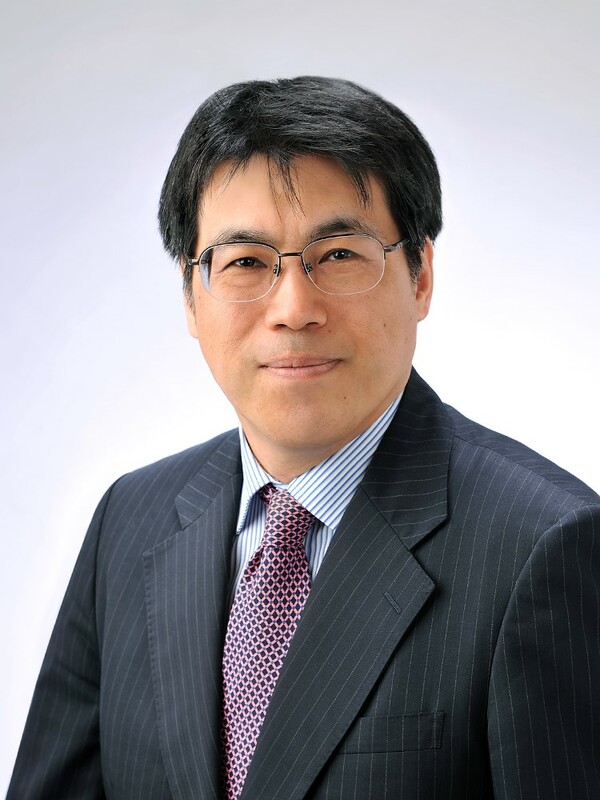 From 2006 to 2011, he was with Samsung Electronics, Suwon, South Korea, where he actively contributed to 3GPP LTE/LTE-A and IEEE 802.16m and acted as the Rapporteur for the 3GPP Coordinated Multi-Point (CoMP) Study Item. From 2014 to 2016, he was an Associate Professor with Korea University, Seoul, South Korea. He also held visiting research appointments at Stanford University, EURECOM, the National University of Singapore, and The University of Hong Kong. 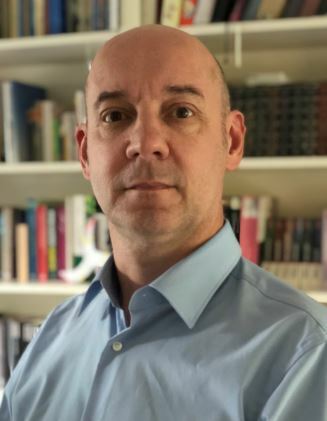 Since 2011, he has been with Imperial College London, first as a Lecturer from 2011 to 2015, then as a Senior Lecturer from 2015 to 2017, and now as a Reader. He is currently a Reader (Associate Professor) with the Electrical and Electronic Engineering Department, Imperial College London, London, U.K. He has authored two books, 150 peer-reviewed international research papers, and 150 standards contributions, and is the inventor of 75 issued or pending patents among which 15 have been adopted in the specifications of 4G (3GPP LTE/LTE-A and IEEE 802.16m) standards. His research area is communication theory and signal processing for wireless networks. He has been a TPC member, a symposium chair, or a TPC chair of many symposia on communication theory, signal processing for communication and wireless communication for several leading international IEEE conferences. He is an Elected Member of the IEEE Signal Processing Society SPCOM Technical Committee. He served as an Editor for the IEEE TRANSACTIONS ON COMMUNICATIONS from 2011 to 2015 and the IEEE TRANSACTIONS ON WIRELESS COMMUNICATIONS from 2015 to 2018, and is currently an Editor for the IEEE TRANSACTIONS ON SIGNAL PROCESSING. He has also been a (lead) guest editor for special issues of the EURASIP Journal on Wireless Communications and Networking, IEEE ACCESS and the IEEE JOURNAL ON SELECTED AREAS IN COMMUNICATIONS. He was an Editor for the 3GPP LTE-Advanced Standard Technical Report on CoMP. Wireless communication has shaped our society. Wireless is however not limited to communication. Far‐field wireless power has recently become recognised as feasible for energising low‐power devices due to reductions in power requirements of electronics. As wireless has disrupted communication, wireless will also disrupt the delivery of energy. Interestingly, radio waves carry both energy and information. Nevertheless, energy and information have traditionally been treated separately. Imagine instead a wireless network where information and energy flow together through the wireless medium. Wireless communication, or Wireless Information Transfer (WIT), and Wireless Power Transfer (WPT) would then refer to two extreme strategies respectively targeting communication‐only and power‐only. A unified Wireless Information and Power Transfer design would on the other hand have the ability to softly evolve in between those two extremes to make the best use of the RF spectrum and radiations and the network infrastructure to communicate and energize. In this talk, I will discuss recent progress on laying the foundations of the envisioned network by establishing a novel and unified signal theory for transmission and identifying the fundamental tradeoff between conveying information and power wirelessly. Recent results on the prototyping and experimentation of those new signals will also be discussed. Bruno is the CTO of the French company UWINLOC, based on Toulouse - south of France. 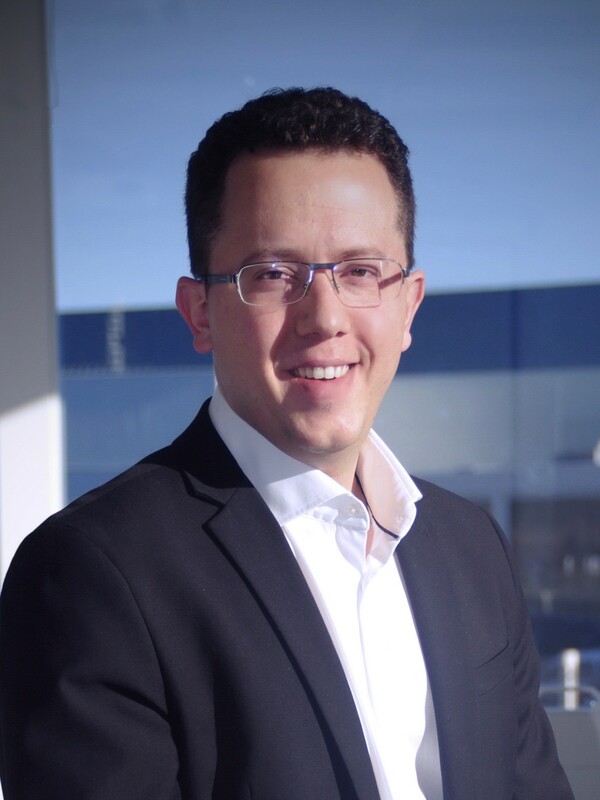 He holds more than 17 patent applications and more than 16 scientific papers published, he has 10 years of experience in Wireless Communications; Energy Harvesting; design, industrialization and deployment of IoT systems (HW and SW). Successful start-up experience (Executive board member) – IPO Valuation £225M. In 2014, Bruno obtained his PhD in optics and radiofrequency at Grenoble University (France) in a partnership between IMEP-LAHC laboratory and Multitoll Solutions. During his PhD, Bruno started to study the Wireless Energy Harvesting/Transfer. He succeeded in creating Wireless Energy Harvesters that were capable of recovering the RF energy to supply low-power devices. The results improved the state-of-the-art on Wireless Energy Harvesting and lead to high-level publications, one of them being awarded as the best student paper in the SBMO/IEEE MTT-S International Microwave and Optoelectronics Conference (IMOC) 2013. In 2010, Bruno obtained his M.Sc. degree in optics and radiofrequency from the University of Grenoble (France). Bruno obtained his B.E. degree in electronics and telecommunications at the Federal University of Campina Grande (Brazil) in 2010, with distinction and honoured with an excellence academic award. Industry 4.0 refers to a new phase in the Industrial Revolution that focuses heavily on interconnectivity, automation, machine learning, and real-time data. Industry 4.0, also sometimes referred to as IIoT or smart manufacturing, marries physical production and operations with smart digital technology, machine learning, and big data to create a more holistic and better connected ecosystem for companies that focus on manufacturing and supply chain management. One of the critical building blocks of this ecosystem is reliable, accurate indoor location : in order to automate, you have to know where everything is, in most cases with sub-meter precision. In a reliable way, at ultra-low cost. Which means a communication system suited for an industrial environment. This is a tall order, and while there are a large number of technologies available, none of them fits the bill completely. Either the cost is low, but there is no location other than checking fixed points. Or the communication channel is not resilient enough for industrial, noisy environments. Or there is a battery involved, driving up the cost and complicating the management of the tracking devices. UWINLOC is the only company marrying the Ultra-Wide Band accurate industrial-grade communication system with energy harvesting for battery-less operation. This leads to low-cost, battery-less tags with a long reach, even in noisy environments, with the required precision. 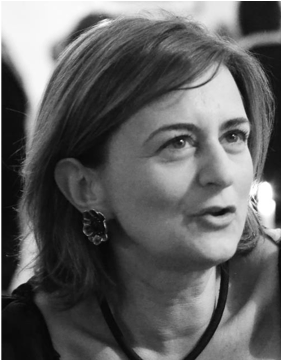 Giuseppina Monti received the Laurea degree in Telecommunication Engineering (with honors) from the University of Bologna, Italy, in 2003, and the Ph.D. in Information Engineering from University of Salento (Italy), in 2007. She is currently with the Department of Innovation Engineering (University of Salento), where she is a temporary researcher and lecturer in CAD of Microwave circuits and Antennas. Since 2007, the research activities of G. Monti have been focused on the area of electromagnetic enabling technologies for energy autonomous smart systems. Special emphasis is put on reconfigurable devices for cognitive networks, wearable devices, energy harvesting, wireless power transmission (WPT). With regard to the development of technologies for WPT and energy harvesting, G. Monti is active both on: 1) the design of low-power long-range power links based on the use of rectennas, 2) the design and the theoretical analysis of high-power low/mid-range power links based on the use of electromagnetically coupled resonant systems (wireless resonant energy links). G. Monti has co-authored four book chapters and about 150 papers appeared in international conferences and journals. This contribution will focus on inductive resonant wireless power transfer. The link will be modelled as a two-port network and the performance will be described by using the three power gains usually adopted in the context of active networks. The design equations for achieving different operative regimes will be illustrated and discussed. In particular, two different regimes will be analysed. The first operative regime which will be illustrated aims at maximizing the performance of the link in terms of power gains. In this regard, possible approaches for achieving the best operating conditions will be presented. The second operative regime which will be presented adopts a frequency agile scheme and is well-suited for applications requiring a performance independent of the coupling coefficient. Some experimental data will be also reported for validation. Dr. Jiafeng Zhou is with the Department of Electrical Engineering & Electronics at the University of Liverpool, UK since 2013. He has performed research on RF circuit design, radio signal receiving and transmitting for 15 years. During his PhD study at the University of Birmingham, UK, he implemented one of the world’s smallest superconducting RF resonators and filters. After completing PhD, Dr. Zhou carried out research in the University of Birmingham to design advanced components for phased-array antennas for radio astronomy. Then he joined the University of Bristol, UK, where he developed power amplifiers with industrial leading performances for Toshiba. Dr. Zhou is currently an executive member of the IET Electromagnetics Professional Network and the IET Internet of Things Professional Network. His current research interests include microwave devices for satellite and wireless communication systems, wireless power transfer and energy harvesting for sensor networks, wearable and implantable devices. Radio-frequency (RF) energy harvesting from ambient electromagnetic signals has a great potential to provide power for sensors and wireless communications. One great challenge of RF energy harvesting is that the power level of ambient electromagnetic signals is usually quite low. It is advantageous to harvest energy from different frequency band and convert the energy to DC with high efficiency. The core component of an RF energy harvesting system is the rectenna - a special type of receiving antenna that can convert electromagnetic energy into DC electricity. A simple rectenna consists of an antenna and a rectifying circuit. During this talk the challenges and potential solutions for harvesting RF energy from different frequency bands will be presented. It will be demonstrated how multi-band antennas suitable for energy harvesting can be designed and how rectifying circuits can be developed to operate with such antennas. Several impedance matching techniques will be introduced to simplify the design and to improve the efficiency of RF/DC conversion. This is crucial because the optimal impedance of a rectifier would vary significantly with frequency and the input power level. Recent development and results will be discussed in the talk. Naoki Shinohara received the B.E. degree in electronic engineering, the M.E. and Ph.D (Eng.) degrees in electrical engineering from Kyoto University, Japan, in 1991, 1993 and 1996, respectively. He was a research associate in Kyoto University from 1996. From 2010, he has been a professor in Kyoto University. He has been engaged in research on Solar Power Station/Satellite and Microwave Power Transmission system. 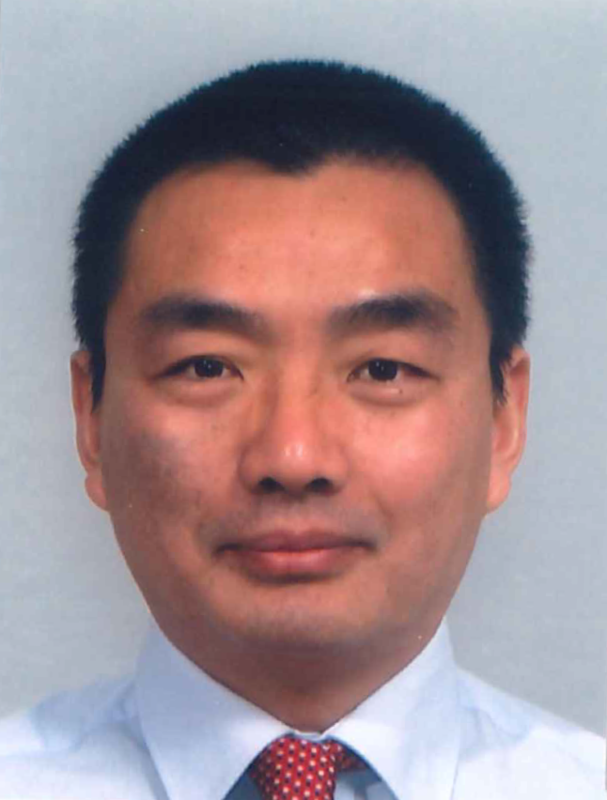 He was IEEE MTT-S Distinguish Microwave Lecturer (2016-18), and is IEEE MTT-S Technical Committee 26 (Wireless Power Transfer and Conversion) chair, IEEE MTT-S Kansai Chapter TPC member, IEEE Wireless Power Transfer Conference founder and advisory committee member, URSI commission D vice chair, international journal of Wireless Power Transfer (Cambridge Press) executive editor, the first chair and technical committee member on IEICE Wireless Power Transfer, Japan Society of Electromagnetic Wave Energy Applications president, Space Solar Power Systems Society board member, Wireless Power Transfer Consortium for Practical Applications (WiPoT) chair, and Wireless Power Management Consortium (WPMc) chair. His books are “Wireless Power Transfer via Radiowaves” (ISTE Ltd. and John Wiley & Sons, Inc., “Recent Wireless Power Transfer Technologies Via Radio Waves (ed. )” (River Publishers), and “Wireless Power Transfer: Theory, Technology, and Applications (ed. )” (IET). Radio waves can carry an energy wirelessly to multi users by wide beam like RF-ID and also carry it to single user by narrow beam with high efficiency, which reaches theoretically 100%, instead of a wire. To keep the high beam efficiency for the narrow beam wireless power transfer (WPT) system and also to develop effective WPT system with the wide beam, we must detect the position of the user and must control a beam direction. In this talk, I show some method of a target position detecting via radio wave. A retrodirective target detecting method is often applied for the wireless power transfer system via radio wave. It is based on Van Atta reflector array and is mainly applied for a phased array antenna system. With the retrodirective method, we can not only detect the position of the target but also estimate an transmitting antenna plane. It is originally method for one target, but recently it is applied for multi target WPT system. I’ll explain mainly the rectrodirective target detecting method for the WPT system and show the other methods of the target detecting. Dr. Simon Hemour is an Associate Professor at Bordeaux University, France. He holds a PhD degree in electrical engineering from Grenoble Institute of Technology. From 2011 to 2015, he was with Ecole Polytechnique de Montreal, Canada, where he lead a research team on Wireless Energy Transmission and Harvesting. Prior joining Polytechnic Montreal, he has been with the European Organization for Nuclear Research (CERN), Geneva, Switzerland, with the National Academy of Science of Ukraine (NASU), Lviv, Ukraine and with the national center for Micro and Nanotechnology (MINATEC) in Grenoble in France. He was the TPC chair of the wireless Power Transmission Conference WPTC2018. He is a member of the IEEE MTT technical committee TC-26 on “Wireless Energy Transfer and Conversion” and TC-10 on “Biological Effect and Medical Applications of RF and Microwave”. He serves as a guest editor for the IEEE Journal of Electromagnetics, RF and Microwaves in Medicine and Biology on the WPT and RF energy harvesting special issue. This presentation will first sketch the big picture of battery-less IoT frontend needs. Using analytical metrics, we will develop the concept of environment-aware IoT nonlinear circuits and describe a couple of example to demonstrate how those circuits can enhance their operational efficiencies by adapting to their radiofrequency, vibration, temperature, and location conditions. Udaya K. Madawala graduated with a B.Sc. 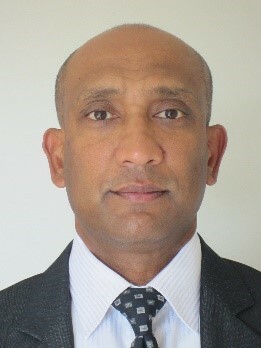 (Electrical Engineering) (Hons) degree from The University of Moratuwa, Sri Lanka in 1987, and received his PhD (Power Electronics) from The University of Auckland, New Zealand in 1993 as a Commonwealth Doctoral Scholar. At the completion of his PhD, he was employed by Fisher & Paykel Ltd, New Zealand, as a Research and Development Engineer to develop new technologies for motor drives. In 1997 he joined the Department of Electrical and Computer Engineering at The University of Auckland and, at present as a Full Professor, he focuses on a number of power electronics projects related to wireless grid integration of EVs for V2G applications and renewable energy. Udaya is a Fellow of the IEEE and a Distinguished Lecturer of the IEEE Power Electronic Society (PELS), and has over 30 years of both industry and research experience in the fields of power electronics and energy. He has served both the IEEE Power Electronics and Industrial Electronics Societies in numerous roles, relating to editorial, conference, technical committee and chapter activities. Currently, Udaya is an Associate Editor for IEEE Transactions on Power Electronics, and a member of both the Administrative Committee and Membership Development Committee of the IEEE Power Electronics Society. He was the General Chair of the 2nd IEEE Southern Power Electronics Conference (SPEC)- 2016, held in New Zealand, and is also the Chair of SPEC Steering Committee. Udaya, who has over 300 IEEE and IET journal and conference publications, holds a number of patents related to wireless power transfer (WPT) and power converters, and is a consultant to industry. Electric vehicles (EVs) are gaining global acceptance as the means of future transport for sustainable living and as an alternative energy storage to stabilize the electricity network through the vehicle-to-grid (V2G) concept. For V2G applications, EVs essentially require a bi-directional power interface with the electricity network (grid) to allow for both storing (charging) and retrieval (discharging) of energy. This can be achieved by both wired and wireless means, but the latter, based primarily on Inductive Power Transfer (IPT) technology, is becoming more popular being convenient, safe, and ideal for both stationary and dynamic charging of EVs. The seminar discusses the standards, challenges and future directions of V2G technologies, and presents the latest advances in bi-directional wireless power transfer (BD-WPT) technology developed for V2G applications.